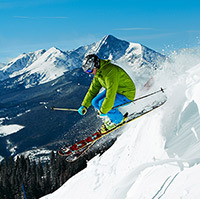 There’s no limit to the activities in Vail! One of our favorites is hiking! Whether you’re taking a hike within the resort, exploring local trails, or hiking one of Colorado’s famous “14ers” (mountain peaks over 14,000 feet tall), there’s an adventure waiting for everyone. Just be sure to pack a lunch or snacks, plenty of water, sunscreen, and rain gear!